In the era of technology, tasks are becoming simpler and simpler. The introduction of user-interface enabled Windows to dominate the operating-system market because of its ease. However, there are a number of people who still prefer the olden ways; such as using DOS, Ubuntu and other OS which allow them more control.Usage of such operating systems is not always the easiest if you are not accustomed to it. 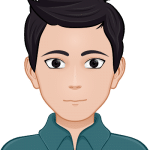 For example, to install a program from open source, you would have to use the Terminal (known as command line in Windows) and it can prove to be a little confusing for people who are new to these operating systems. Today, we will provide a step-by-step guide to download one of the most famous games of all-time on Ubuntu; Counter Strike 1.6. As everyone knows, Counter Strike (CS) is one of the most famous series of multiplayer first-person shooter video game. There are two sets of teams; terrorists and counter-terrorists. The terrorists battle to perpetrate acts of terror (bombing and hostage taking etc) whereas the counter-terrorist’s duty is to stop the terrorists from successfully performing those heinous acts. 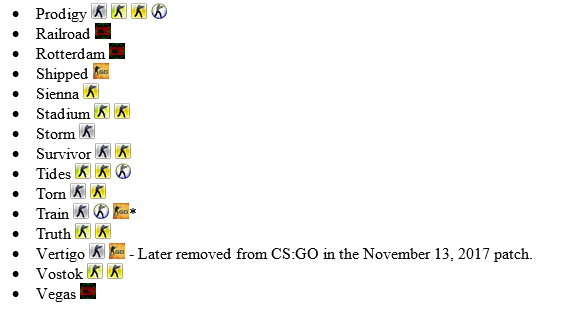 The main series includes: CS, CS Condition Zero, CS: Source, CS: Global Offensive. And the spin-offs includes Neo, Online Series and Nexon: Zombies. Now that you are familiar with which game we are talking about, let us see the process through which we can download this popular game onto our Linux-based operating systems. 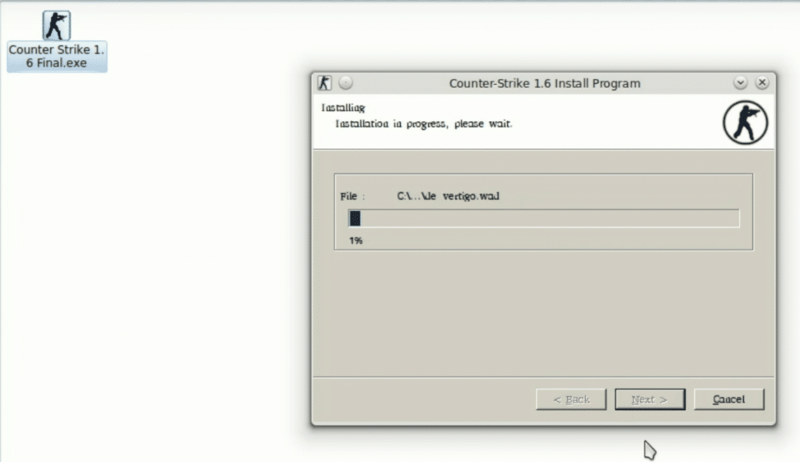 Firstly, what you will need to do is to download CS 1.6 and then install it on your system. I will assume you have the software downloaded now. 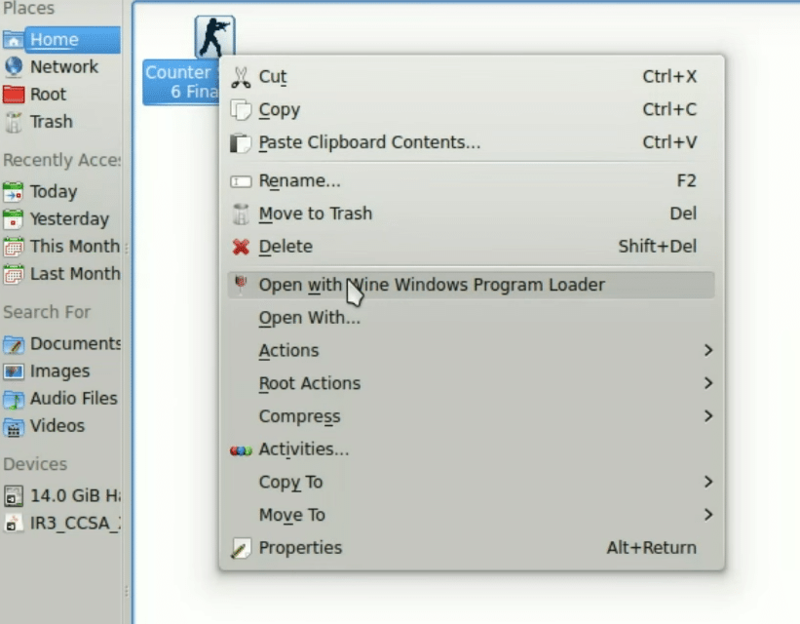 Find your downloaded file of CS 1.6 and then open the file with your Wine program to proceed to the installation phase. For anyone who has used a Windows environment, it is very easy to follow the installation process. 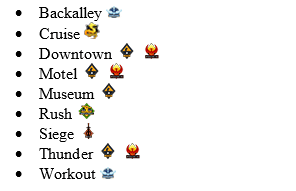 All you have to do is select the directory in which you want the game to be installed and read the agreement and click next. The reason why you have to open Half-Life is because CS was initially designed as Half-Life modification. It was launched by Valve on Windows platform in 2000 and from there, the CS franchise picked its pace. Congratulations! The process is now complete and you can enjoy playing one of the most iconic games on your Ubuntu-based OS. 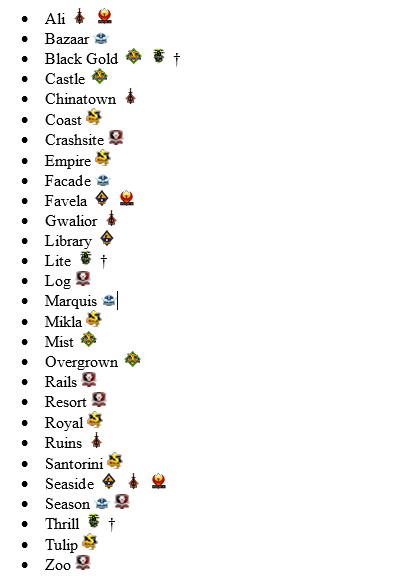 Here is a compilation of all the maps that exist for the Counter Strike franchise for Counter Strike, Counter Strike Beta, Counter Strike on Xbox, Condition Zero, Source and Global Offensive. 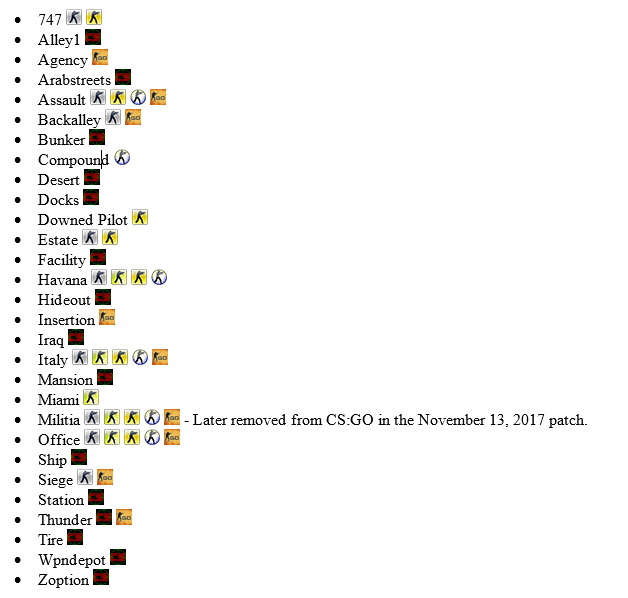 Shorttrain – Later removed from CS:GO in the November 13, 2017 patch. 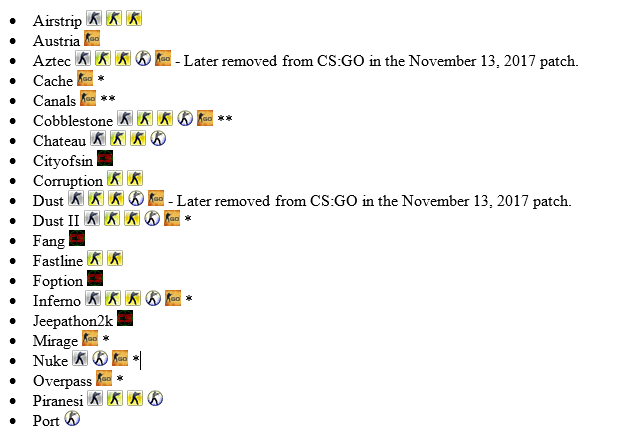 There has not been an official Escape map in any Counter-Strike games. However, three maps are developed during the game mode’s development during the Counter-Strike Beta. Note: Most of these maps consist of officially-made maps that had only appeared in Operations.